Thank you to everyone who worked on the organization of the competition. Thank you to our distinguished judges and to all the partners and sponsors. Thanks you to the students who submitted! After a successful first edition in 2009, Pace University, School of Multinational Telecommunications (ESMT) and Mobile Senegal are hosting the second edition of the Competition of Mobile Application Development in Senegal . Mobiles are computers; they can be programmed the same way computers are. Mobile applications can create a variety of experiences for their users – experiences in social networking, gaming, entertainment, education, marketing, mapping, finance, arts, training, health and agriculture. In the mobile for development sector, the literature showcases many examples led by international organizations and NGOs in geo-politics, education, health care and agriculture. There are currently over 4 billion mobile subscribers and over 70% of them are in developing countries. Africa is the fastest growing mobile phone market in the world. Thus, it appears to be more relevant to look at mobile phones rather than traditional desktops/laptops for bridging the digital and impact the daily lives of people in Africa. Unfortunately most of the initiatives in mobile for development are currently concentrating in English-speaking countries of Africa rather than in French-speaking countries. Who will develop the mobile phone applications that will have a social impact on the populations of Africa? We believe that African students will play a crucial role in this enterprise but need to be trained and better prepared as software developers / engineers and entrepreneurs to be actors of this promising field. Mobile Senegal is a project focusing on students, their training and success in the mobile field. It has created a network of over 40 instructors and professionals interested in mobile technology for development in Senegal. It organizes, facilitates and partners with other institutions in the organization of bootcamps, trainings (for faculty), competitions, and workshops on mobile technology. Its mission is to disseminate mobile technology for development and share information on the subject in Senegal and more broadly in West Africa. Mobile Senegal was sponsored by NCIIA (National Collegiate Inventors and Innovators Alliance), Google, and Pearson Education. Since January 2009, 4 bootcamps, 2 faculty training, 3 courses in mobile technology, 1 course in entrepreneurship, and 1 competition on the mobile application development were organized. The model is based on monitoring students’ progress before, during and after the project. More than 10 mobile applications have been developed. One of these applications was awarded a judge prize at the Nokia Calling All Innovators international competition. This work has been published on the mobileactive.org Web site and at different conferences including Mobile for Development (M4D). All activities are described at: http://mobilesenegal.org. 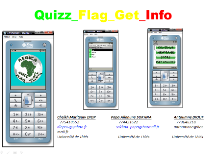 The 2nd Competition of Mobile Application Development in Senegal is open to all students in Senegal. It will run from October to December. Teams of students (maximum 3 students per team) will submit a brief description, a video (3 minutes maximum), a presentation, the source code, and the JAD and JAR of their Java ME applications. Applications will be developed on the theme of social development. The language of the user interface should be English. The top 3 teams will present their work and will be rewarded and honored at a reception held at the Savana Hotel in Dakar in January 2010. Entries will be judged by local and international experts. The winners will be sponsored to present their mobile applications in an international competition such as Nokia Calling All Innovators. The competition is a means to promote mobile technology in Senegal. The 3 teams with the best applications will be rewarded prizes. See the section about judges for the judging process. 1st team: Each participant will receive a Lenovo laptop and a book. They will also receive Neurotech keys. 2nd team: Each participant will receive a Nokia C7 phone and a book. 3rd team: Each participant will receive a Nokia C7 phone and a book. How to participate? Read the detailed rules. How to submit? Read about it here. Download a copy of the promotional poster (PDF). The facilitators of the competition are Christelle Scharff, Pace University, New York, USA (cscharff AT pace.edu) and Jean-Marie Preira, ESMT, Dakar, Senegal, (preira AT esmt.sn).